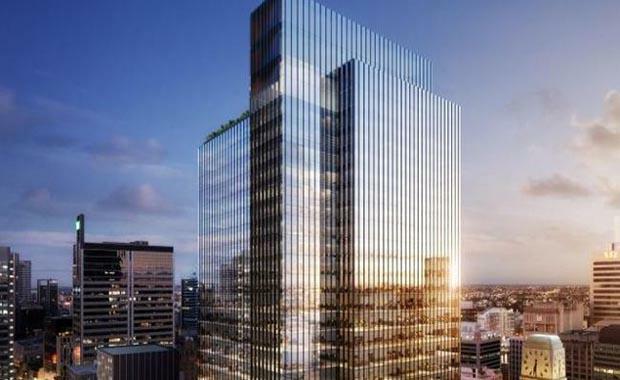 Brookfield is moving ahead with its plans for a landmark office tower within Sydney’s Wynyard precinct after yesterday reaching the final stage of the NSW government’s unsolicited proposal process. According to The Australian the group’s flagship project, spanning 74,000 square metres of premium-grade commercial and retail space and facilities adjoining Wynyard station, will be ready for development in the first quarter of next year and a state significant development application is imminent. Formerly known as One Carrington, the Wynyard Place project is one of a generation of office towers planned for Sydney after the completion of Lend Lease’s $6 billion Barangaroo South. According to The Australian it could be done by late 2018, putting it ahead of rival projects at Central Barangaroo and Circular Quay. Brookfield will consolidate four properties around Wynyard station, the centrepiece to be a 58,000 square metre premium grade office tower, and a revamped Shell House. But construction will not begin until an anchor tenant is secured. The project has stoked interest from Sydney’s most sought after tenants, including Google.